Warm and inviting, carpeting is one of the coziest ways to floor – and one of the most popular, as well. Presenting a veritable universe of possibilities, carpeting comes in every color and pattern imaginable, making it a great choice for nearly any type of interior setting. With its unparalleled transformative powers, carpeting is also easy to install, giving it the ability to complement residential and commercial spaces, alike, regardless of décor preference, lifestyles, and budgets. At Aggieland Carpet One Floor & Home we offer all of the latest carpeting products, and we’re always eager to share our extensive knowledge. 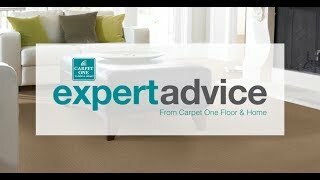 Let’s learn a little more about carpeting and why it might be an ideal fit for your upcoming renovation project. Carpeting truly offers up options for all, regardless of your needs. There are carpets that can keep out stains and keep allergens in, as well as carpets that can stand up to the heaviest foot traffic. It would do all consumers well to get acquainted with common carpet terminology, to ensure all purchases are geared towards the most pressing needs. Often called carpet “pile,” your carpet’s fibers will determine density and performance rating. The look and feel of your carpeting, as well as its functionability, will be greatly determined by its pile. Polyester and nylon carpeting are some of the softest varieties – not to mention, extremely durable. While it has a rougher feel, wool fibers are great at soothing allergies and are also organically resistant to sound and heat. Frieze or “shag” carpeting has a casual look. Its fibers are soft, long and twisted, giving added depth and a trendy appearance. Level loop carpeting is a great all-purpose carpet, with its short fibers.Since it is quite sturdy and dense, level loop is well-suited to busy rooms that gets lots of foot traffic. Patterned carpeting is very formal, with its looped, alternating length fibers. Textured carpeting has a rougher feel and is extremely durable, making it a good match for casual rooms – such as family rooms. Plush carpeting feels a lot like velvet. Its extreme softness is appropriate for formal rooms that don’t sustain heavy usage. Carpeting brings its many wonderful qualities to home or to your office. Your feet will stay warm on cooler days - and cool on warmer days, effectively cutting utility costs. Carpeting is all about adding ongoing value, while always staying in style. At Aggieland Carpet One, we carry the region’s most comprehensive inventory of fine carpeting products, including some Carpet One Floor & Home exclusives that cannot be purchased elsewhere. Here you’ll discover quality products from Masland, Karastan, Lees, Fabrica, Tigressa, and many more. Let our expertise help you find your perfect match. An industry legend since 1928, Karastan’s manufactured rugs and carpets offer heirloom looks, formidable stain resistance, and infinite style…for starters. You’ve found the perfect carpeting, and naturally, you want to enjoy it for as long as possible. With these simple steps, your rug will stay beautiful for many years to come.